2016 is all about thinking smarter, with the integration of devices and innovation working together to improve a process rather than focusing on a single technology or behavior. Businesses are thinking smarter by developing extensive resource management strategies to drive cost savings. From intelligent buildings to waste management, this year’s energy management trends can give companies a real competitive advantage, especially in a time of changing energy grids, rising water prices, and tighter regulation. 2016 will bring the continued advancement of “smart” building solutions. Thinking smarter, building owners are recognizing the investment value of energy management systems (EMS) and connected sensors that allow facility owners and operators to capture more data about energy consumption and building performance. The financial value of measuring and monitoring building performance and using data to direct operational strategies and smarter investments, to drive cost savings, is certainly a major selling point for these solutions. The growing need for HVAC to be integrated into building management systems indicates that integration of mechanical systems with other building systems will play a major role in HVAC this year. Previously building systems had been managed in disjunction whereas now, lighting, water, security, etc. can be treated as one integrated system with a central control. The single integrated system increases convenience for building owners, and occupants to monitor energy usage and collect data for smarter business decisions. 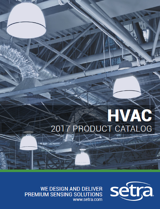 Engineering firms are annually specifying $2.4 million on average, in HVAC and BAS products for new and existing buildings, with 27% specifying more than $5.0 million. In 2016, the electric utilities will continue struggling to meet the population’s growing demand using existing infrastructure. In response, many utility companies have switched to time-sensitive rate structures to charge more during peak usage times. Theoretically, either consumer’s consumption rates decrease or their operating cost increases. However, when usage is necessary, the end user must find alternative ways to spread the consumption across machines or utilize machinery at different times of the day. More businesses and companies this year will turn to sub-metering at the point of use, one of the best ways to monitor and track both machine and building performance. Installing a power meter at the source allows the facilities manager to track consumption and shift usage at times of peak demand. In the long run, sub-metering will provide substantial cost savings and allow the user to make smarter business decisions delivering a better value for the dollar spent. CLICK HERE to learn about our HVAC products.